Gazelle companies will drive the economic recovery – but at the moment they don’t get the support they need to thrive. That is the contention of Verne Harnish, who originally popularised the term “gazelles” and named his global business Gazelles.com. He is founder of the worldwide Entrepreneurs Organisation, whose members all run companies that gross more than £1 million a year. 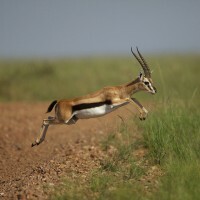 Both the Scale Up report written by Sherry Coutu and the business secretary Sajid Javid have recently highlighted gazelles as crucial to the economy – and Harnish agrees. They all believe it is the gazelles which are likely to grow fastest and employ most – and which will be the businesses that really pull us out of the economic doldrums. “All the real jobs growth – which is what countries need – come from this very narrow segment of companies,” says Harnish, whose company provides executive education and coaching for midsized businesses everywhere from Australia to South America. His favourite examples of gazelles are Apple and Starbucks. “Apple started in 1976. By 2001, 25 years later they had 9,600 employees, they really werenít a force on the planet. It was since their 25th birthday they’ve gone to 60,000 plus employees. That’s real economic growth. “Starbucks started in 1971. Twenty-five years later, Howard Schultz said “I think we’ve finally figured it out” and that’s when they turned the gas on, and they’ve gone to 140,000 plus employees. But in his experience, gazelles are largely ignored by governments, with too much focus put on both the elephants and the mice. Harnish defines gazelles as mid market companies, which have been in business for 25 years and have reached a turnover of £30-50 million and are ready to move to the next level. But the typical pattern he sees repeatedly is that a gazelle has been steadily growing and expanding and is doing well in its sector, and a large elephant comes along and is offered all sorts of tax breaks on the promise of creating jobs – so the smaller business is unable to compete. And because entrepreneurs who run gazelles are so busy growing their businesses, they don’t have time for the lobbying and networking which are essential to win the concessions. Harnish believes the gazelles need a champion to fight their corner and that governments should stop treating them in the same way as large companies. Verne Harnish is the founder of the world-renowned Entrepreneurs Organisation (EO) and founder and CEO of Gazelles, a global executive education and coaching company, and has spent the past 30 years educating entrepreneurial teams.